Pollinating crops, gardens, and flowering trees around DC, honeybees are being raised by a growing number of hobbyists who tend hives in the suburbs and in the District. Beehives now top the Fairmont Hotel and sit by The White House’s organic gardens. The D.C. Department of Parks and Recreation recently led a four-session short course on hobbyist beekeeping, hoping to get volunteers to tend the department’s new hives. Some 30 beekeeper-hopefuls attended the class, and will now volunteer to tend the city’s hives. 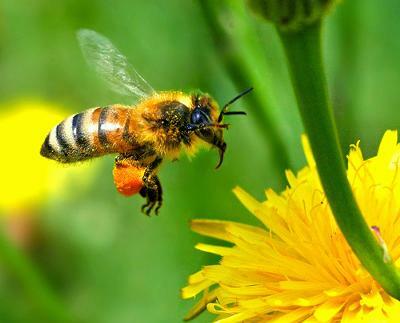 The District already has one buzzing hive located at Lederer Gardens on Nannie Helen Burroughs Ave. in Northeast, according to Kelly Melsted, Camping and Environmental Education. “We will be placing five more throughout the city to educate about the need of pollinators in the city,” says Melsted, who notes that residents are extremely interested in beekeeping. Though the city has much equipment, many experienced beekeepers have been helpful and willing to share resources. Currently, Melsted has a waiting list of 50 people who want to volunteer in addition to the 30 short-course students.